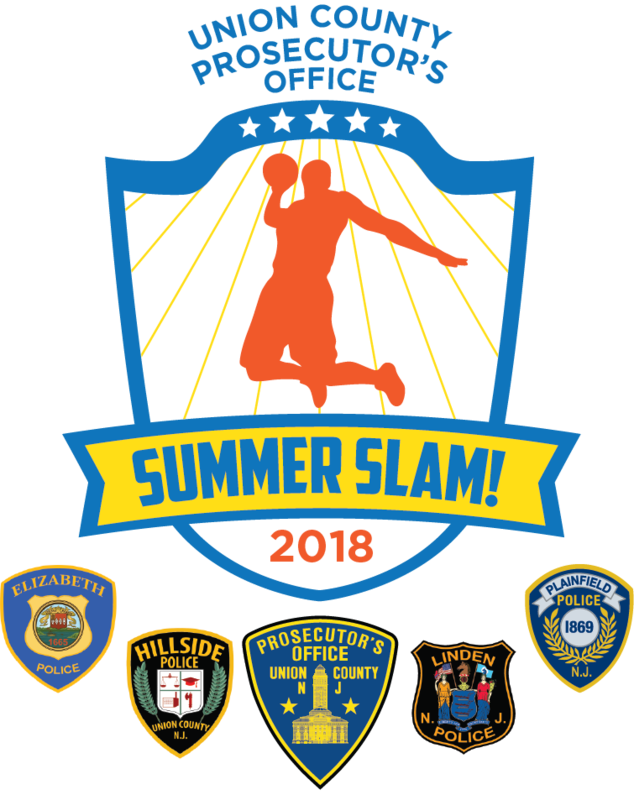 The Prosecutor’s Office has joined forces with four municipal police departments to host the inaugural Summer Slam youth basketball tournament, marking the launch of a new initiative intended to connect local student-athletes with representatives of local law enforcement in fun, engaging ways, acting Union County Prosecutor Michael A. Monahan jointly announced Tuesday along with Elizabeth Police Chief John Brennan, Hillside Police Chief Vincent Ricciardi, Linden Police Chief David Hart, and Plainfield Police Director Carl Riley. 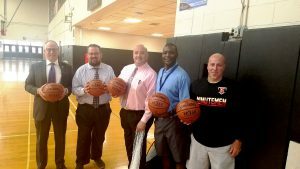 The tournament is scheduled to take place 6 p.m. this Friday, August 3 at Elizabeth’s Dunn Center, with teams of fifth- and sixth-graders from Elizabeth, Hillside, Linden, and Plainfield facing off in a pair of first-round games, followed by a championship contest and a third-place contest, also to be played simultaneously. Coaching the four teams will be detectives and other sworn members of the police departments in those municipalities. 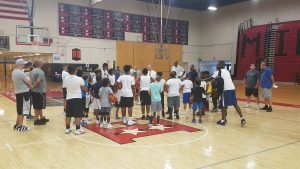 The tournament is open to the public and free to attend. 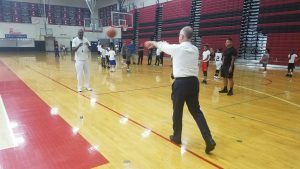 The tournament is expected to be expanded to include additional teams in coming years, eventually involving young athletes from as many Union County municipalities as possible. 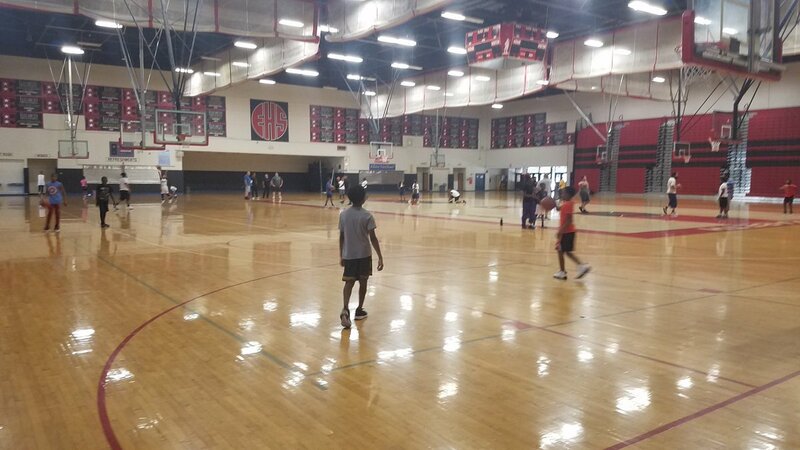 The Dunn Center facilities are being made available for the tournament courtesy of Elizabeth Public Schools and Superintendent Olga Hugelmeyer, with players afforded the opportunity to play in one of the state’s marquee high-school basketball venues. 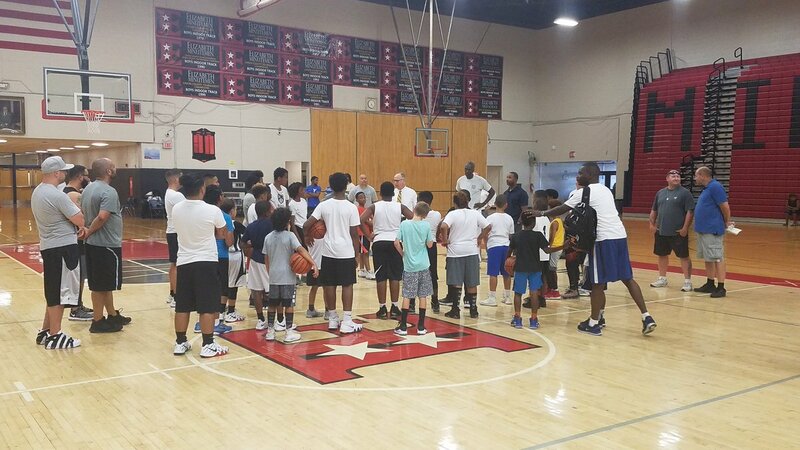 The four teams practiced there together earlier this month, with retired Prosecutor’s Office Lt. Abdel Anderson – the “sixth man” on the Rutgers University men’s basketball team’s 1976 Final Four club – leading drills.